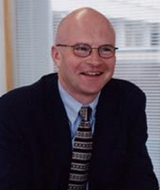 Professor Martin Reynolds has over thirty years of experience working in UK university sector at Sheffield Hallam University, Nottingham Trent University, Anglia Ruskin University and from October 2010 Birmingham City University. He has held senior management positions as Head of Department, Dean and recently Pro-Vice Chancellor and Dean for 18 years. At Birmingham City University he is Professor of Management Practice and is Head of a new Centre of Leadership and Management Practice.